Russian cuisine might not have the strongest reputation internationally, but this crop of cafes and restaurants are striving to change that in the capital. 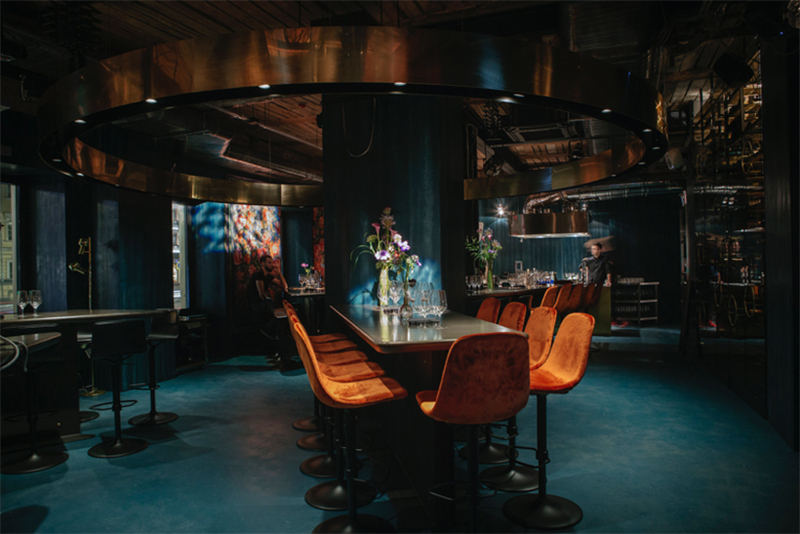 They’ve called on the talents of Muscovite studios and international designers to put a contemporary spin on the Russian dining experience, while their chefs give traditional borscht and beef stroganoff a fresh burst of flavour. 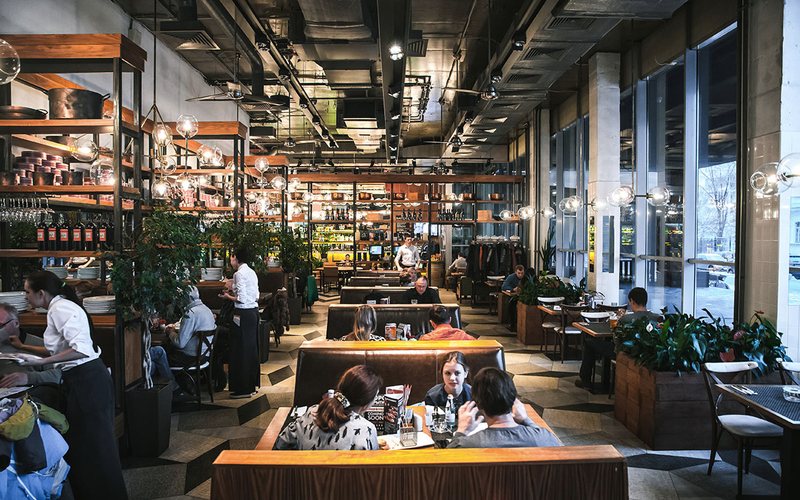 Whether you’re looking for a light bite or a hearty meal, here are 7 of the most instagramable Moscow restaurants and cafes for design enthusiasts. 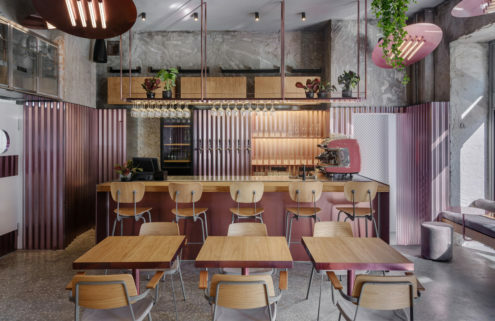 The pastel-tinted interiors of this Kuznetsky Most cafe are supremely Instagrammable, thanks to Veter Design & Architecture. 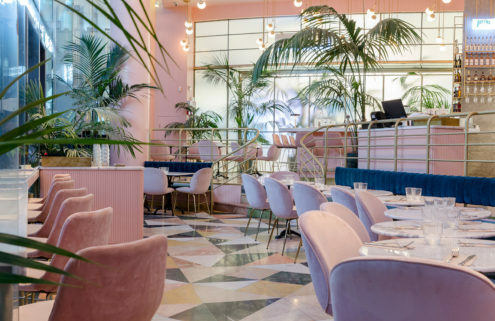 Floors have been tiled to resemble the cracked ice of a frozen lake, and the bistro’s industrial bones are contrasted by soft pink and mint green furniture. 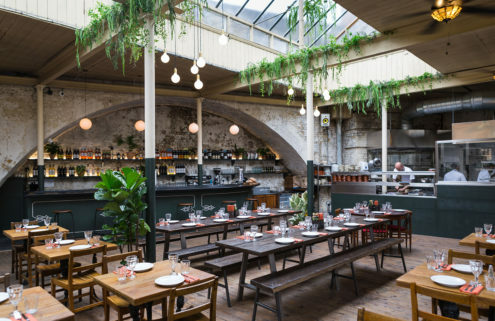 Relax on railway-style benches, and snap a pic of the cafe’s ombre-patterned plaster while tucking into crab risotto, pasta, pies and salads. It’s dark, moody and decadent inside this Bol’shaya Nikitskaya bar and restaurant, where patrons lounge on crushed velvet sofas, while taking in views of Moscow’s Kudrinskaya Square skyscraper. Practice B-Arch has chosen huge floral carpets and wall hangings that nod to Russian tradition, but also retained hints of the building’s past with exposed brick walls and slatted timber ceilings hung with brass chandeliers. It’d be remiss not to mention feted institution, Cafe Pushkin. The Moscow restaurant offers a taste of pre-revolutionary Russia, both in its antique-filled interiors, and its menu of blinis and pierogi. Artist and restaurateur Andrey Dellos opened the beloved dining spot in 1999, inspired by singer Gilbert Bécaud’s fictional cafe of the same name. 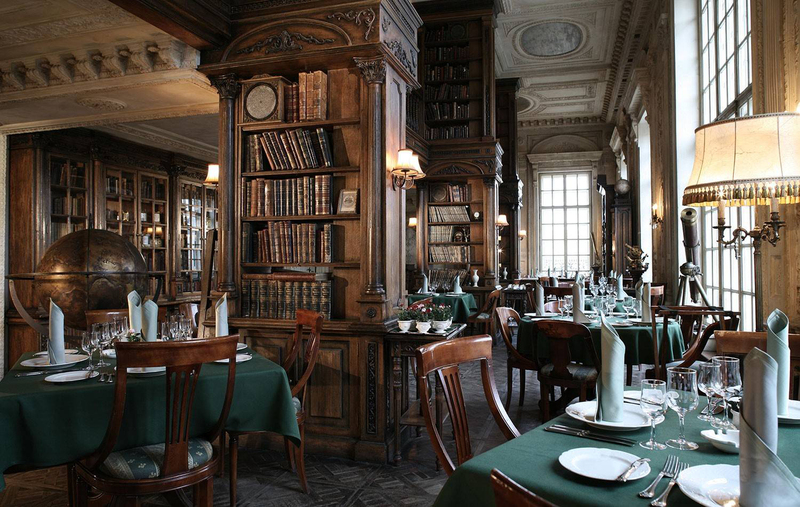 Guests sit in baroque interiors – once home to Russian nobility – and dine surrounded by book-stuffed shelves. 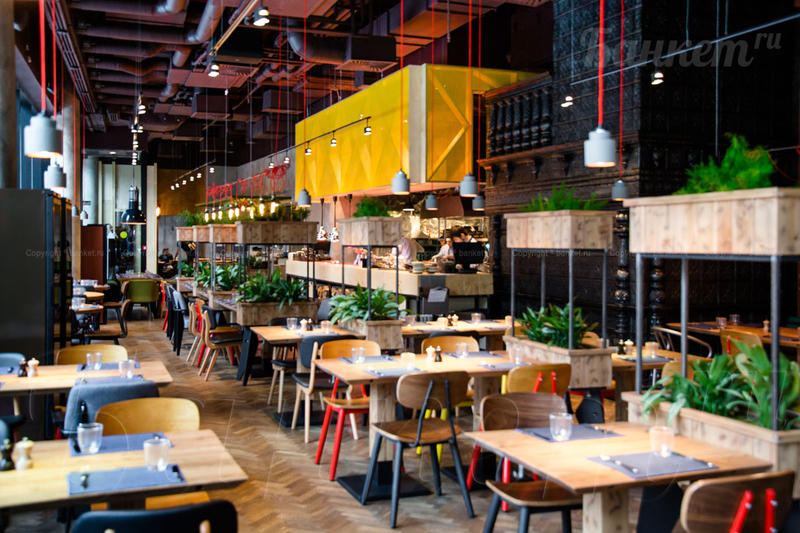 Plants overhang everything at Sempre, which not only serves food but also sells homeware in an environment that the Moscow Times described as ‘a kind of up-and-coming, pagan Ikea’. Natural materials abound, with stone and wood dominating its interiors as well as its tableware. Forks are not provided, so diners will have to make the most of a spoon and knife to enjoy their beef tartare. 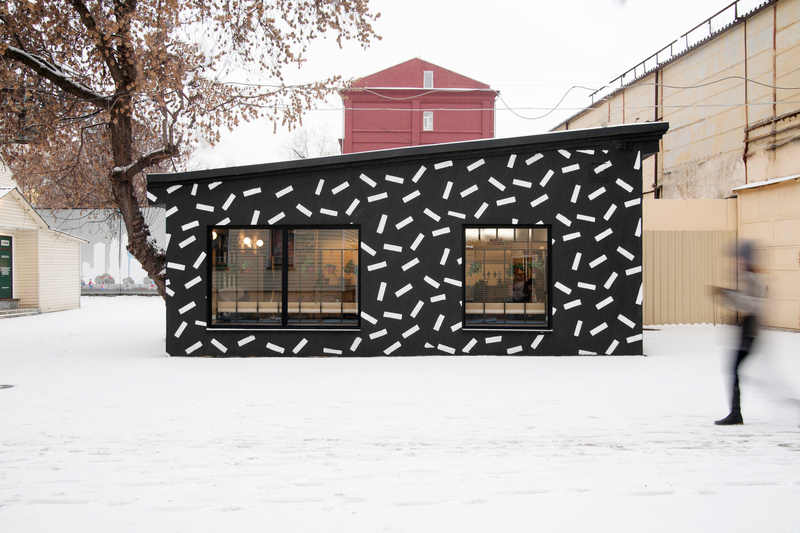 This Memphis-inspired Moscow restaurant is easily recognised by its black-and-white patterned exterior, designed by Crosby Studios. 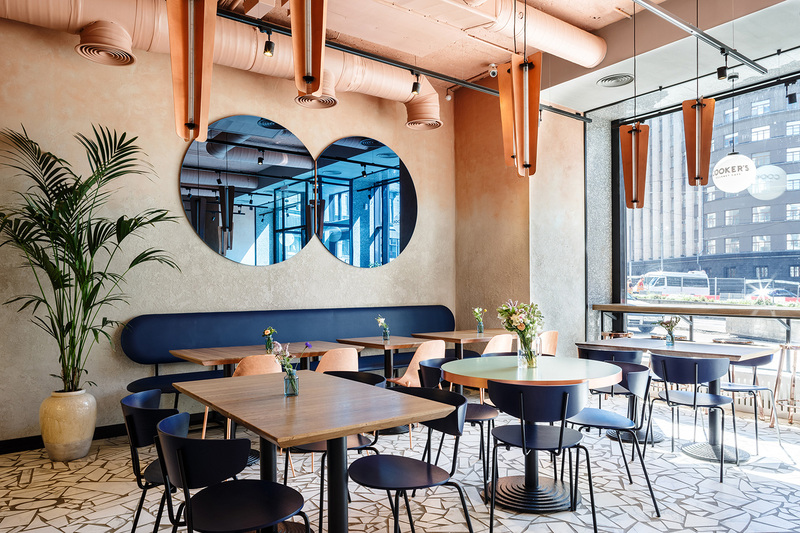 To match its menu of Israeli cuisine, the New York designers created an interior that mixes old and new to give diners a sense of being in Tel Aviv. Ceilings are left unfinished, and corrugated panelling runs around the inside of the restaurant. 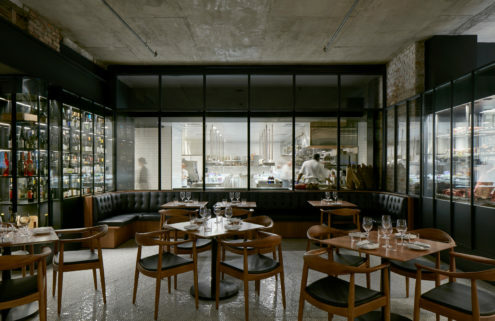 Chef Adrian Quetglas intended his Adri BBQ eatery to be a home for noisy groups of friends and has created its interiors accordingly. 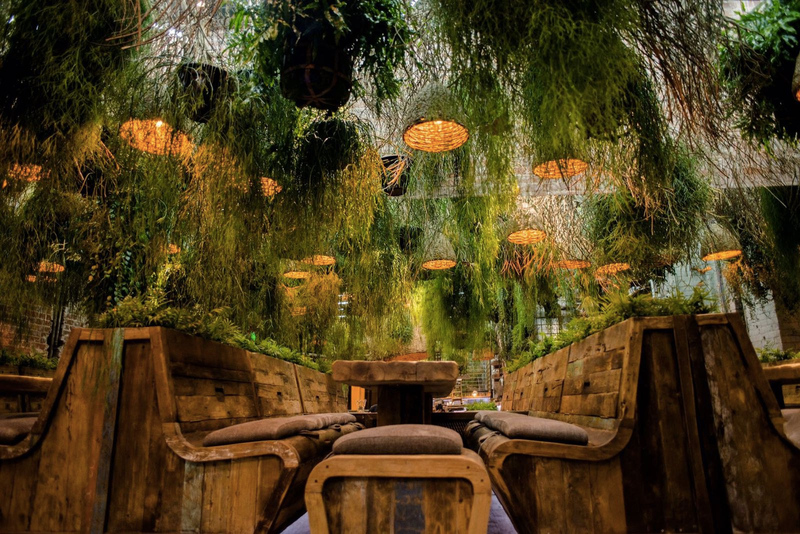 Temporary partitions can be created with raised planters, allowing guests to sit surrounded by greenery while enjoying some privacy from other diners.